Need new apps for your favorite device? 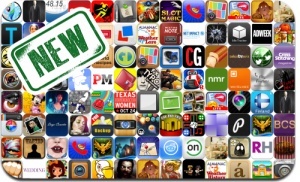 Here are 99 iPhone, iPad and iPod touch apps that just hit the App Store. This new apps alert includes He-Man, Punch Quest, AstroWings, Letterpress, Bubble Galaxy, Fight on State, Enigmatis, Youda Legend, Penny Arcade’s On The Rain-Slick Precipice of Darkness 3, Eyelord, High Limit Sports, and many others. R I P – Do you dare to play? Secret Keeper – Manage your secrets!